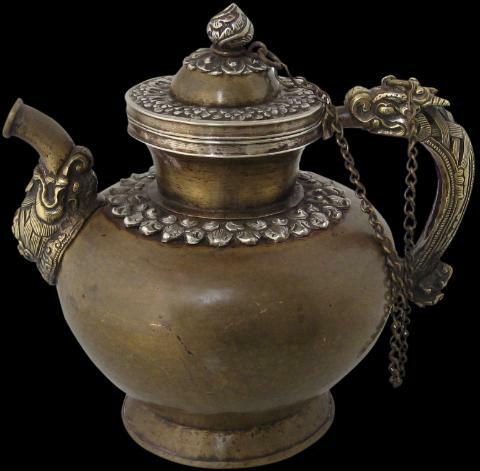 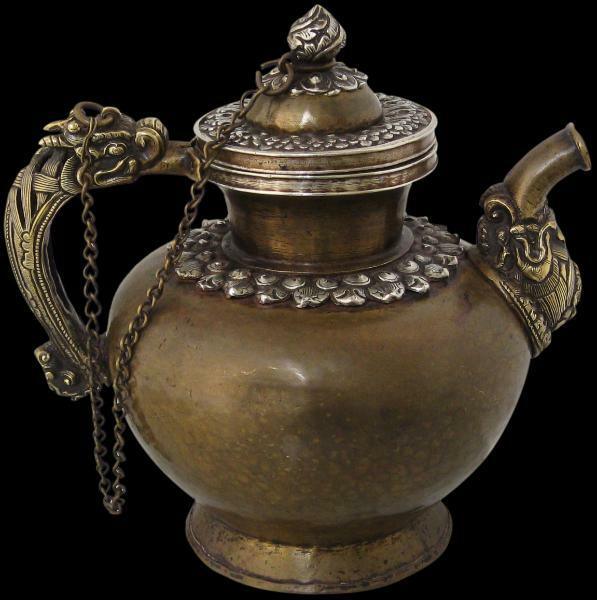 This splendid Tibetan teapot comprises a hammered globular copper base that sits on a low, flared ring-mat foot with a short neck and domed cover connected to the base by means of a brass chain. 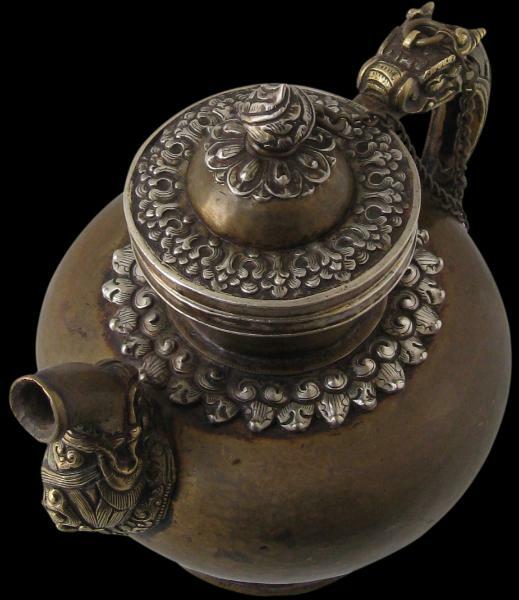 The top of the base is decorated with a chased silver double lotus petal border. 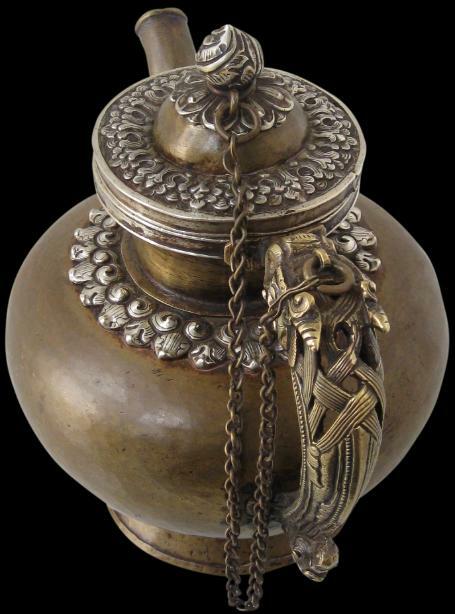 The rim of the base and the lid both are overlaid with silver. 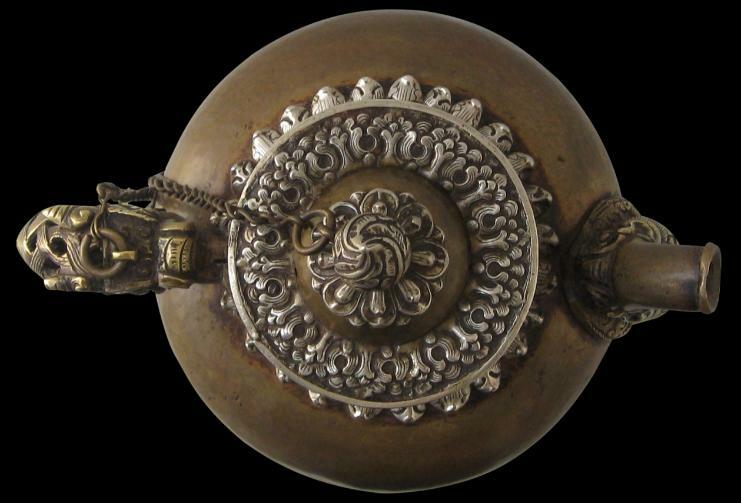 The cover has a wide chased silver leafy outer border and is surmounted by a lotus flower and lotus bud finial. 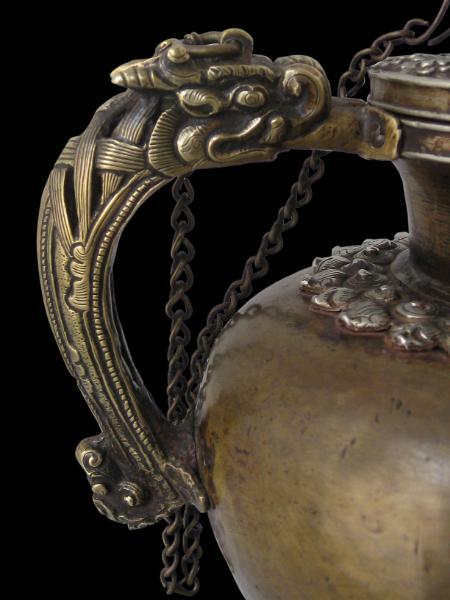 The handle is in the form of an open-work dragon in silver gilt and the spout comprises a long snouted makara with the makara’s head also in silver gilt. 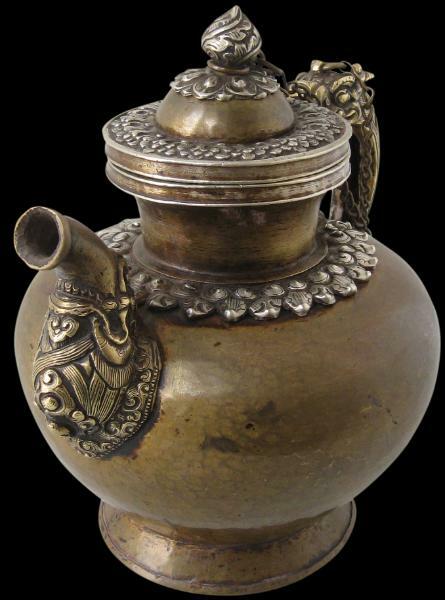 to see a less elaborate example in the British Museum collection.